We assembled the perfect setup for highly efficient multi-process welding of carbon steels and the most typical stainless steels and aluminum alloys. See how to save energy, time, and money by raising the productivity and quality of welding to an entirely new level. 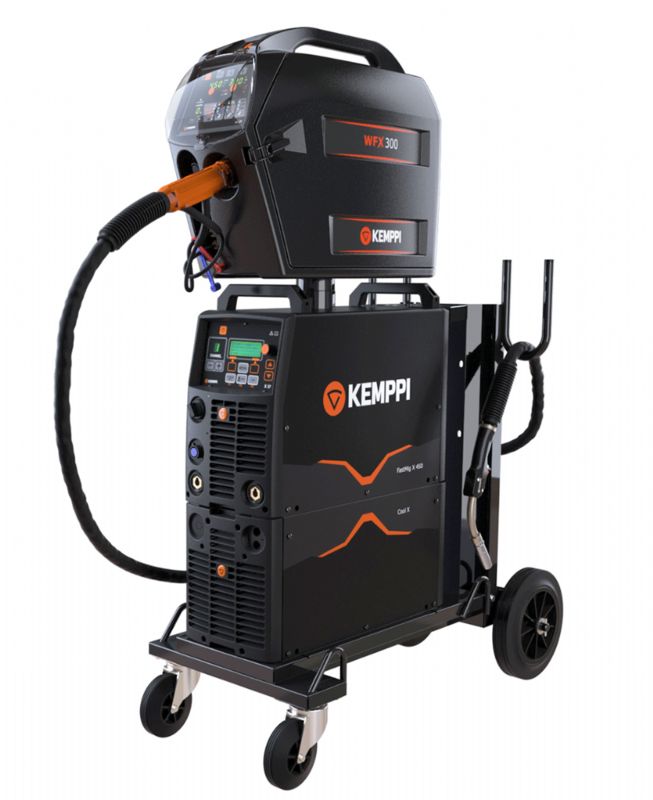 Specifically designed for demanding workshop use, this software setup offers both pulse and double pulse MIG welding capability for various materials, covering a vast number of applications. Whether used in manufacturing thick materials or sheet metal, this setup is ready to raise pulse welding to a whole new level. The FastMig X Regular setup for robust workshop use enables you to save time, money, and energy. The MagTrac's welding carriage compatibility enables welding speeds up to five times faster compared to fully manual welding. Savings in energy use can reach up to 40 % due to our inverter technology alone, while welding with 25 % lower heat input means fewer deformations and less time consuming straightening work. The smooth welding process with less spatter equals less grinding and therefore lower repair costs. This is the perfect setup for higher productivity. See stable, focused, and reliable welding at its finest. The use of the WiseFusion function for synergic MIG/MAG and pulsed arc welding keeps the welding arc focused, making it easier to weld in all positions. Exact arc voltage measurement enables the welder to easily maintain welding parameters inside WPS tolerances. The high energy density of the arc is the basis for more profitable, less time-consuming welding.